The 2018 show categories are listed below. 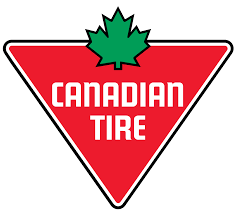 Thanks to sponsors like Canadian Tire, returning as our 2019 Platinum Sponsor, we’re able to host our show each year. To ALL our many sponsors, Thank you! If you’re interested in sponsorship opportunities, please check out our sponsorship information page or contact us. All proceeds from the Beverly Corners Show & Shine shows are donated back to the community. We also collect non-persishable food items at the show to give to the local food bank. Organized by the Beverly Corners Show & Shine Society, a registered non-profit organization, this annual event founded in 1999 is hosted in the Cowichan Valley on Vancouver Island. Proceeds from the show are donated to support ongoing development of the Cowichan Sportsplex and local charities such as the Food Bank and Cops for Cancer/Tour de Rock.